Check out this cute puzzle deal. 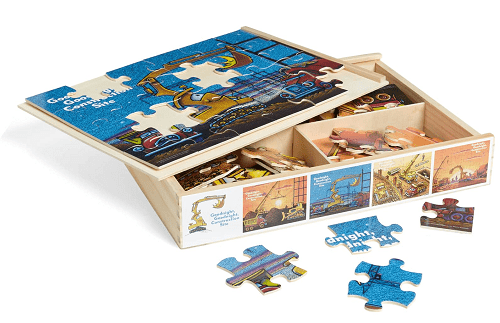 Nordstrom is offering this Set of 4 Goodnight Goodnight, Construction Site 24-Piece Wooden Puzzles for $11.98! That is down from the normal price of $20, for a 40% savings. Plus it will ship for free, as all orders from Nordstrom.com do. The wooden puzzle pieces are sized especially for little hands as they help develop motor skills and shape recognition.